It's called 'le classique': a face-off between Paris Saint-Germain and Marseille - two of the biggst clubs in French football. 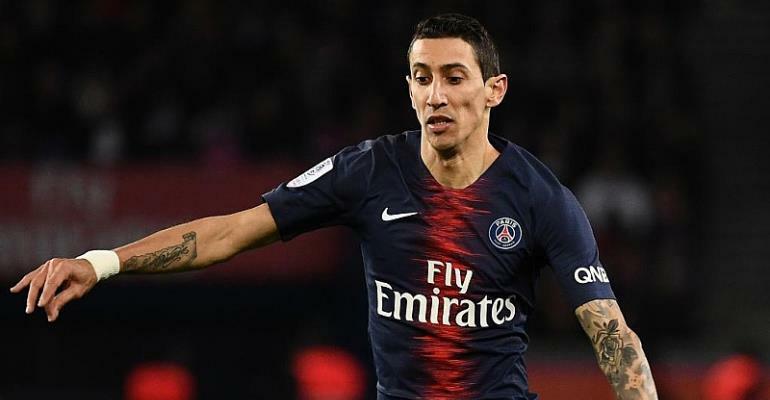 But it's fast becoming 'le washout' after PSG swept past Marseille 3-1 to go 20 points clear at the top of Ligue 1 and extend their unbeaten sequence over their longtime rivals. A 3-0 win at the Velodrome in November 2011 was the last Marseille triumph over PSG. Since then there have been three stalemates and 16 victories for PSG who have become the powerhouse in French football. They have collected five of the past six titles as well as four Coupe de France and five League Cups. Domestic dominance has fired dreams among the PSG faithful of continental supremacy in the Uefa Champions League. But on 6 March, Thomas Tuchel's expensively assembled side lost to an understrength Manchester United team and left the competition at the last 16 stage for the third consecutive season. At their first home game since that setback, thousands of PSG supporters in the Auteuil stand boycotted the first 15 minutes of the match in protest over the perceived lack of fibre in the team despite the millions lavished on players. The self-indulgent nature of the revolt was highlighted in a few minutes either side of half-time at the Parc des Princes. Kylian Mbappé - a 185 million euro acquisition from Monaco - put the hosts ahead in first-half stoppage time with his 26th league goal of the season. Just after the break Marseille drew level through Valère Germain - an eight million euro signing from Monaco. Parity lasted for nine minutes before former Real Madrid star Angel Di Maria decided the contest. For his first goal, the Argentina interntational cut inside from the right and curled the ball past Marseille goalkeeper Steve Mandanda. Minutes later the France international was sent off after handling outside his penalty area and Di Maria bagged his brace from the resulting free-kick. 3-1 up and 20 points clear with a game in hand over second placed Lille. Very far from a sob story. "There are certain things we can't change," said Tuchel. "And we have to accept that we had a very sad defeat against Manchester United. "But we have got back to winning ways against Dijon and now against Marseille. The players have shown their character and I am glad that they have been able to show their qualities. That was important for us and our supporters."